The creepy decision maker we call "The Watoodoo Board". ... but beware ... we can not be held responsible for the answers! Instructions on use are on the board itself. 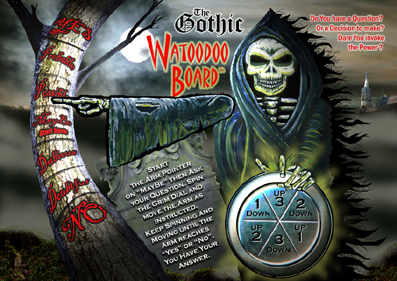 Watoodoo Board - Click here, then when image loads, right-click and download the jpeg. Then print it out on photo paper. 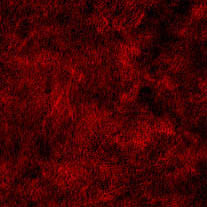 Arm & pointer - Click here, then when image loads, right-click and download the jpeg. Then print it out on photo paper. Cut out arm and place pin rotating pin through the cross at the base of the arm, then attach to Watoodoo Board on the Reaper’s shoulder so it can rotate. Cut out one pointer. 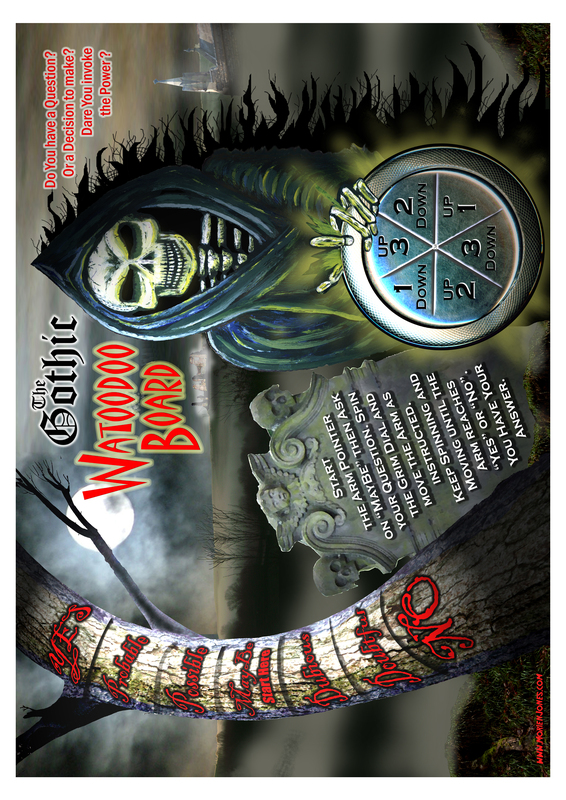 Pin through the circle and then to the clock face on the Watoodoo Board - so it can spin. You only need one pointer. The others are spares. The pins you use should be the ones you pull the legs apart to affix. Make round holes in the shoulder and clock, push through and affix parts, then bend legs back. 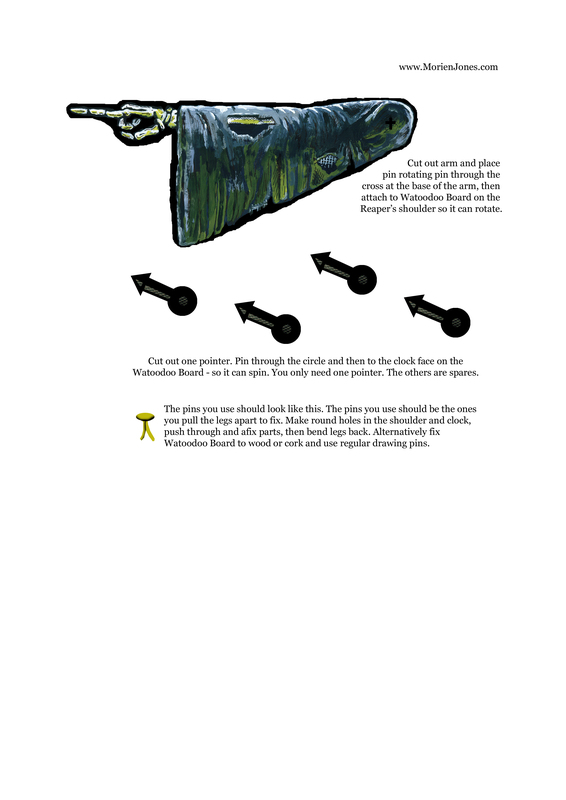 Alternatively fix Watoodoo Board to a wood or cork backing and use regular drawing pins. If you go for the wood option, you may like to varnish the board to make it look cooler. Now you are ready to question the Reaper? No? Would you do it for a Scooby Snack?